Much more than just a nice new color. As the , the automaker is doing what it can to keep them both in the spotlight. Meet the Series.Gray models (yes, it’s spelled like that), both of which just debuted at this year’s Boxerfest, the largest Subaru festival in the Mid-Atlantic area of the US. 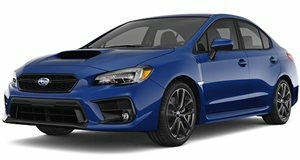 Limited to 750 WRXs and 250 WRX STIs, both feature what’s called Cool Gray Khaki exterior paint with Chrystal Black Silica badging and foldable mirrors. In our eyes, the paint looks more like a light blue. 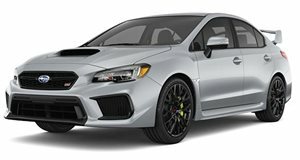 The Series.Gray WRX, based on the WRX Premium, comes with the desirable Performance Package, UltraSuede trimmed Recaro seats, 8-way power driver’s seat, 18-inch alloys with black finish, and Jurid front brake pads. The moonroof has been eliminated. Other features include LED headlights and fog lights, push-button start, (read: no CVT). The WRX STI Series.Gray boats a set of 19-inch alloys, the same black UltraSuede seats, only with carbon black leather bolsters, an UltraSuede steering wheel with red stitching and, perhaps most importantly for enthusiasts, the Bilstein STI sport-tuned suspension package. This includes Bilstein dampers specifically for the inverted-strut front suspension and double wishbone rear suspension, both great to have when doing some canyon carving or autocross circuit. Both the WRX and WRX STI Series.Gray will go on sale this fall, priced at $32,595 and $39,695, respectively.